Visit the most fascinating places on the planet and learn by looking around, spotting details, and unlocking additional information in these narrated virtual reality lessons. These mobile apps go way beyond games. Mobile devices are becoming increasingly common in schools because they cost so much less than computers—especially since so many students are willing to bring their own devices to school. This app allows users to create Venn diagrams that contain two or three overlapping circles. Users identify and record concepts that can be placed in one of the circles or in the overlapping areas, allowing them to organize their information logically. The finished Venn diagram can be emailed out or saved to the device's photo album. Pearson is proud to introduce Virtual Nerd Mobile Math. This amazing math app provides on-the-go access to Virtual Nerd's extensive video library. Interactive tutorial videos review fundamental math concepts in middle school and high school. Help your students build a rich vocabulary of essential words! World’s Worst Pet exposes students to over 1000 Tier Two words at 6 different levels through four engaging games. Aligned to the Common Core, this app provides student-friendly definitions, a playful narrative, a fun reward system and thought-provoking writing prompts! Science applications that spark the curiosity for knowledge. ​We deliver high-quality, innovative curricular content that is easy to use and enhances student learning. BE CREATIVE! In this game you can create your own crazy, fun inventions! With the help of the Inventioneers, our tiny helpers with unique characteristics, you can invent fun, creative and often quite weird inventions. A lot of inventions are included in the game, the more you solve the more parts you receive for your own inventions! Which animals have been shuttled into space? Which animals can detach their limbs to escape a predator's attack? Which extinct mammal do scientists think they might be able to clone and bring back to life one day? Find out all this and more in World Book’s World of Animals! Learn more about Explain Everything 3.0 when Greg Kulowiec, checks in with educator and co-creator of Explain Everything, Dr. Reshan Richards about the newest updates to our favorite Screencasting app. The FreshGrade app allows teachers to quickly and easily capture artifacts of student learning while it happens - through pictures, videos, audio recordings and anecdotal notes. Instantly tag individual students or groups of students, which automatically posts captured learning in the individual student ePortfolios and can be sent to parents or guardians for review. Teachers will also be able to send class-wide announcements, manage student profiles and monitor ePortfolio activity (parent views, comments, etc.). Pick A Student is a simple app designed to help teachers pick students to help or participate in class. It supports multiple different classes and various options to choose students. Choosing a student randomly will pick any student from the class, and using turn based selection every student will be picked before any student is picked again. Quick Key eliminates hand-grading of quizzes, tests, and formative assessments, even for teachers working in paper-based classrooms, without a computer...and even without a network connection of any kind. The 2nd version of ‘Meet Science’, Light and Sound edition inspires all school-aged kids to explore fundamental concepts of Light and Sound with variety of fun features such as animations, experiments, and mini-games. Ever wondered what it’s like to work at the Smithsonian? With the sudden and curious departure of her last intern, Museum Curator Isabella Wagner needs your help solving a mystery dating back to the Civil War. Could there be ghosts trapped in the basement of the National Museum of American History? Award winning Ansel & Clair series (20 awards) launches a groundbreaking educational game on the environment & pollution combining creation, problem solving, strategy and fun with stunning animations and interactivity. Noodle, a site that provides families with information about schools, tutors, summer camps, study abroad programs, and online learning tools, has just released a list of the 32 best, free apps for education. Flipink is a neat app for you to sketch, share and organize your ideas, thoughts, write down your memos and notes.you can insert images,type texts,and draw graphics as you want, It helps you stay organized and improve productivity, capture ideas flashed through your minds, either at home, at workplace, or on the go. Image Transfer is the easiest and fastest way to send and receive photos and videos from/to your iPad, iPhone, iPod and computer over Wi-Fi. A brief history of everything ever. littleBIG History is a revolutionary interactive timeline that lets you explore world history on an unprecedented scale - from the first miliseconds after big bang to the present and beyond. It places humanity in the large context of cosmos, earth and evolution of life. Math Monsters Bingo is a new, fun way to master math on your iPhone, iPad and iPod touch. The game lets you practice math anytime and anywhere using a fun Bingo styled game play. Math Monsters has several unique features like individual player profiles, high scores and ranks along with an interesting "Reward Jump" game.The objective of the Math Monsters game is to find the Math Monsters hidden under the tiles as you answer math questions correctly from the available four games. Too much screen time isn't healthy for children. Help your kids establish healthy device-usage habits! Learn to program with puzzles and easily build your own games. No internet connectivity required. Start by solving coding puzzles. Great for Hour-of-Code and more. Easily build games using the Tynker Workshop, with themed graphics,10 game-kits and customizable characters to inspire imaginative games and stories. Additional puzzle levels are available as in-app purchases. Make your own book with Book Writer. Anyone can easily make a book. Make an interactive book and enjoy making and reading the books you made! You can use it in school, work, and at home to make all types of books such as photo book, recipe book, diary, PR booklet, PDF documents, and etc. Yogopolis is in trouble and it needs your knowledge of nutritious foods to save it! Hungry monsters have come to destroy the city, and the only way to satisfy their appetites is by feeding them fruits and vegetables. Are you up for the food-chomping challenge? Rosetta Stone® Kids Lingo Letter Sounds is the lively way to learn, read, and speak. This preschool learning game reinforces English reading skills while simultaneously introducing a new language. It’s a fun way to help make your child a stronger, more confident reader. And it’s kid-tested and designed with your children in mind by the world leader in technology-based language learning, Rosetta Stone. Have you ever seen the letter E hatched from an egg? How about a K popping out of a kangaroo’s pouch? Bike with your favorite characters Beck and Bo in this wonderful A - Z alliteration adventure and experience the alphabet like never before! Introducing Synopsis for iPad. Whether you are studying or reading a non-fiction book or reviewing a seriously long study document, haven’t you secretly wished that you could note all your important points in one place which you can later use to summarize? Have you ever felt the need to create study cards or review cards or ‘Flash Cards’ as we call it, in a much more simpler way? Have you ever got confused about the location of your documents in the cloud ? KidEWords is an educational crossword game, ideal for learning words and improving your spelling! Help you children to form more than 500 easy, average or difficult words, distributed across 20 levels of increasing difficulty! The level of the words and the size of the grids increases little by little, right up to 10 difficult words per grid! The grid generator means that there are an infinite number of possible games to enjoy! Discover 7 colorful worlds as you solve the mini word puzzles. But don't worry if you get stuck. You can always get a hint if you need it. It's made just for kids, but many parents will love it too. The Post-it® Plus App takes the momentum from your collaboration sessions and keeps it rolling. Simply capture your notes, organize and share with everyone. That way your great ideas don’t stop when the meeting ends. Field Day is a Project Based Learning iPad app that leads 4th-12th grade students through the inquiry process with prompts from Bloom’s Taxonomy roots. After creating questions and strategies, they have a set of tools within the app to collect answers to the questions. An organized summary of every question asked as well as the evidence collected can be sent as a PDF for review and reflection. Create and share LIVE audio broadcasts on the go from your mobile device! With Spreaker, let your inner radio host shine through by recording your own podcasts. Become a sports commentator or report on live events, then share all the latest news with your friends on any major social network. Now users with iOS versions 5.0 and up can access the new DJ console to mix voice, music and effects, and feel like a pro over the airwaves. Read together, even when you’re apart. Story Bug combines video chat with a shared reader displaying educational books to enable story time with a loved one anywhere, anytime. Front Row is the only math program made for the iPad by teachers, for teachers. Front Row provides over 15 thousand common core aligned questions that are graded automatically and given to students based on their level. This means no writing worksheets, no grading, and differentiated teaching made easy. Crackers and Goo is a math game designed by a math educator with the goal of teaching children critical thinking, a skill that elevates thinking beyond memorization into the realm of analysis and logic. Developing critical thinking skills in children is a major objective of the new Common Core standards. Crackers and Goo uses patterns to teach children how to think critically; they need to identify patterns and make decisions about how to complete those patterns. Education experts agree that patterning is an excellent tool to help young children develop and grow their critical thinking skills. Create, edit and collaborate with others on documents from your iPod, iPhone or iPad with the free Google Docs app. Play on the iPad with Real People and Real Objects. Osmo promotes social intelligence and creative thinking. Back Osmo and help us shape the future of play. Halftone turns your photos into unique, vintage comics that friends and family will love! More than a simple “photo filter” app, Halftone makes it easy to add paper styles, captions, speech balloons, graphic stamps, and fonts (including built-in comic fonts). Your final image can be sent via e-mail, uploaded directly to Facebook, Twitter, and Flickr, shared with apps like Instagram, Camera+, and Color Splash, printed, and even sent as a real, physical postcard through the mail! The Social Express™ is engaging, educational curriculum for children and young adults with social learning challenges. The curriculum is designed to teach users how to think about and manage social situations, helping them to develop meaningful social relationships and succeed in life. iCell gives students, teachers, and anyone interested in biology a 3D view inside a cell. Included are examples of three types of cells: animal, plant, and bacteria. Learn about the various parts of the cell, which biologists, biochemists, and DNA researchers at the HudsonAlpha Institute study and use to advance the limits of biotechnology. Element Matching makes learning the symbols, charges, and Bohr models of the most important elements easy! Including timed versions of three different games, students are challenged to match all of the elements as quick as they can! Let your imagination run wild in this groundbreaking puzzle game. Summon to life a ‘colossal, winged car’ or a ‘shy, frost-breathing, robotic hippopotamus’! If you can think it, you can create it. It’s the perfect game for the casual player looking for fun and extensive replay with unlimited solutions and different outcomes. Or, the Scribblenauts fan wanting the complete Maxwell experience. "Slice It!" is all about slicing shapes into pieces that are equal in size. Sound easy? It may start out that way, but soon you'll be cutting shapes that will puzzle you like never before. Brainteasing puzzles: over 200 Basic Stages and a five-star rating system so you can play until you get it right! Time to start thinking and slicing! Create the pizzeria of your dreams in Motion Math: Pizza! Learn economics and mental math as you buy ingredients, design pizzas, set prices, and serve customers in this delightfully delicious simulation game. Graphical Analysis™ is a powerful tool for creating and analyzing graphs in science and math classrooms. Using a Vernier LabQuest 2 device or a computer running Logger Pro (version 3.8.6 or newer), students can connect to sensors and view experimental data in a table or a graph. Multiple members of a lab group can connect at the same time while collecting data from any of over 70 compatible Vernier sensors. A better way to understand health and the human body. The BioDigital Human is the most comprehensive set of true 3D anatomy and health condition models ever assembled. Choose from 1000’s of interactive visualizations to build your own custom library of models. Make your own comic strips with KBLAM!. KBLAM! allows you to add comic book style effects, captions and graphics to your photos. Turn your friends and family into comic book superheroes in seconds (Costumes not included...). With KBLAM! you can easily create amazing comic images, and instantly share them with email or social media. Audiolio gives you an easy way to mark specific locations in your audio recordings, so important information is literally at your fingertips! Everyone knows 1 + 1 = 2. But did you know Dot + Line = 6? Take your math skills to the next level while learning the ancient Maya’s remarkable number system in this fast-paced counting game! Lions! Pandas! Naked mole rats? Come visit them all at Smithsonian’s National Zoo. We are on the lookout for animals that are swimming, running, wiggling, and stomping. Grab a camera and take some pictures of animals on the move! 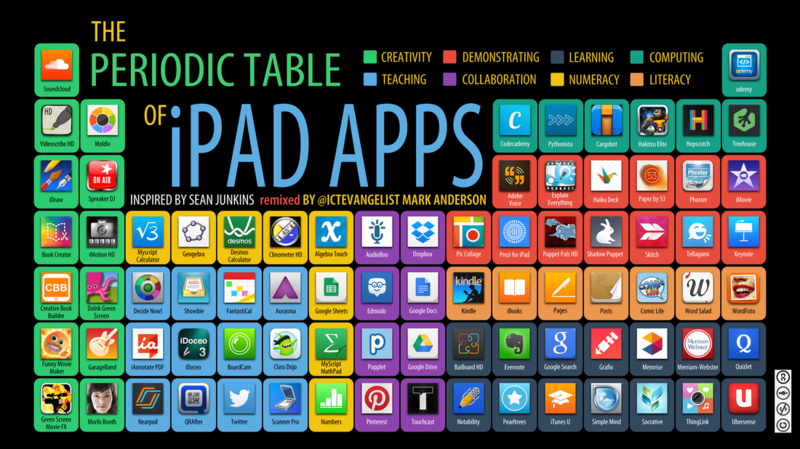 A resource page for iPads in education. Join Will Purcell and Eric Lawson as they discuss and present 10 apps that could change how you teach in your classroom. Thinking Blocks is a series of free iPad apps based on theweb tool of the same name. The apps are designed to help students develop models of word problems. In each of the apps students create block models to work through a series of progressively more difficult word problems. As students work through the problems they are provided with feedback as to whether or not they are using the correct sequence to solve each problem. There are templates and problems for addition, subtraction, multiplication, division, fractions, and ratios. You can find links to all of the apps on the Thinking Blocks site. Apps, smartphones, and tablets are storming into classrooms around the world. But how do you figure out which apps are being used by teachers, admins, students, and parents? Not an app, but a new feature with the latest iOS 7 upgrade for the iPad. This app allows you to drop files from one iPad to another without cables. Click above to read a blog on how useful this tool can be in your classroom. What is Control Center in iOS 7? How to use the AirDrop? Where should you start to set up the ios 7 on your idevices? iOS 7 comes with many new features and changes, which starts the new chapter of iOS. To help millions ios users best use ios 7 system, Guide for iOS 7 brings all the tips and tricks for iOS 7. Do you quarantine the village? Talk to people who are sick? Ask for more lab results? The better your answers, the higher your score - and the more quickly you’ll save lives. You’ll start out as a Trainee and can earn badges by solving cases, with the goal of earning the top rank: Disease Detective. Everything you love about grading with Turnitin® is now available on iPad, allowing educators to Grade Anywhere™. Teachers using Turnitin's grading tools save time grading student papers while offering more meaningful feedback and ensuring their originality. The modern and polished Designs for Pages pack for iPhone and iPad supplies a set of 1050 easy-to-use templates for creating business and personal content with Apple’s Pages for iOS. Math Ref Free is a free version of the award winning education app Math Ref. This app gives you just a sample (over 700) of the over 1,400 helpful formulas, figures, tips, and examples that are included in the full version of Math Ref. So, if you're a student, teacher, or need math for work and want to try before you buy, this app is for you. ScratchWork allows you to take notes and browse the web while having the two side by side to avoid back and forth flipping. It also provides a custom math keyboard. Produce rich interactive content with Composer Pro-the tool used by many independent storytellers and leading publishers such as McGraw-Hill Education and Kane Miller Books. Use Composer for interactive presentations, tutorials and design prototypes. Use ThingLink to instantly add video and text to images. Create unforgettable greetings, interactive travel photos, and capture best moments. Share images to your friends on Twitter or Facebook — and communicate in new ways. All the proceeds from advertising are donated to the UN World Food Program to feed malnourished kids. In Sproutster, you’re a little sprout-dude who is running around catching falling raindrop letters. After you spell a word in your bucket, you dump it on a rice plant and the plant sprouts a word leaf. You travel the world growing rice and we donate the rice you grow to feed real kids. The more you play, the more we donate! DragonBox Algebra 12+ is a must-have tool for students so they can earn better grades and gain confidence in algebra and mathematics. It is based on the award winning game DragonBox Algebra 5+ and covers more advanced topics in mathematics and algebra. DragonBox Algebra 5+ - The educational game that secretly teaches you algebra. It’s perfect for giving your child a head start in mathematics and algebra. Children as young as 4 have solved equations meant for a 15 year old! This is a fully functional self-contained app covering the essential anatomy of the skeleton. This app is being offered free to demonstrate the groundbreaking 3D technology and innovative design inherent in 3D4Medical's new range of apps. A custom-built graphics engine, built from the ground up, powers a highly detailed skeletal model and delivers outstanding quality graphics. It is a stand alone app and does not contain any In-App purchase requirements. MathScaled is a prototype series of puzzles based on a balance-scale format. The goal is to place different shapes with unknown weights on the scale so that it is balanced. Puzzles have embedded supports for solving, such as a Scratch Pad for recording information and the option for immediate feedback on your progress. Learners can also choose from different levels of puzzle challenge. For over three decades, Tech & Learning has remained the premier publication and leading resource for education technology professionals responsible for implementing and purchasing technology products in K-12 districts and schools. Video Physics brings physics video analysis to iPhone, iPod touch and iPad. Take a video of an object in motion, mark its position frame by frame, and set up the scale using a known distance. Video Physics then draws trajectory, position, and velocity graphs for the object. Share video, graphs and data via the Camera Roll, email, and iTunes. Open in Vernier Graphical Analysis for iPad or with your computer running Vernier's Logger Pro software. Open with Dropbox or Google Drive to store your data file in the cloud. Whether you teach Reading and Writing Workshop or simply want to take notes on your students, Confer enables you to take notes quicker and it lets you sort, group, and view your students in ways you just can’t do with paper and pencil. Confer also lets you export and import you data via email, or upload it as a spreadsheet, so you can access your notes anytime, anywhere. Counting Money utilizes US currency as virtual manipulatives to introduce money and apply it to mathematics. Three dynamic practice modes, fun BINGO games, and a customizable fish tank encourage children to add and subtract money in a variety of ways including word problems. Counting money has never been this fun and educational! Green screen is a cinematographic technique that allows video editors to add a variety of visual effects to their videos. These effects include : adding virtual backgrounds, superimposing subjects over animated backdrops, placing a subject on another shot and many more. Green screen technology has been widely used in weather and movie industry. But now with the emergence of apps such as the ones below, everyone can use this technology to create engaging clips and presentations. Join millions of teachers and students all over the world who have discovered the magic of Voki. Voki, an edtech tool, is a collection of customizable speaking avatars for teachers and students that enhances classroom instruction, class engagement , and lesson comprehension. A faithful remake of the original classic computer game from the 70's and 80's, with a completely redesigned iPhone interface and gorgeous new graphics. If you remember playing this in the school's computer lab as a kid, you'll love the nostalgia of playing it on your phone! Turn your own photos into coloring pages with Colorscape! Colorscape takes any image and creates an outline that you can color in – on the screen, on paper or both. Take a picture of anything, anyone or anywhere and instantly you can create a blank canvas to add any color or shade you wish. An amazing app for easily creating, sharing and printing educational social stories, visual schedules and beautiful memories. LOCKS is the companion app for Breakout EDU. Use LOCKS to create digital locks that can be used with Breakout EDU games. You can create a number, text, color, shape, and directional locks. You can also run these locks with a countdown timer. Any locks you create can be saved for use again and again.The app contains several preloaded puzzles for some of the most popular Breakout EDU games. Settle Your Glitter can be used to teach kids about their brains and about managing emotions. When the glitter is settled, we are calm, focused in our prefrontal cortex, able to make good decisions and do our best learning. When the glitter is swirling, our amygdala is in charge and clouds our judgment. Breathing and focusing attention helps us settle our glitter and fully access the thinking part of our brain. Codeable Crafts is an app for kids to create their imaginative stories by drawing and coding. Find a template of your favorite or capture your drawing with the camera, and use crayons and stickers to design your character. Your character will become a hero of your story. To tell a story of your character, use the block-based coding tool. CAD tools have a high learning curve, that make them inaccessible to hobbyists, so we decided to make a modeling tool, that is simple to use. It uses basic shapes (cube, sphere, cylinder, cone, donut etc.) to create any 3D models. From the simplest design to the most complex objects – you can make anything by simply moving, rotating and resizing different shapes into the right place. Allow Grafio to become an extension of your fingertip. Draw a rectangle, circle or an ellipse and watch Grafio recognize and replace it with a perfectly looking shape for your diagram or schematic. Grafio has been around for 5 years already, polished, efficient and full of features achieved through more than 26 updates and free upgrades. Sifting through the app stores trying to find the cream of the crop isn't easy, so we've done it for you! Though plenty of other awesome apps are out there, kids should play these at least once. 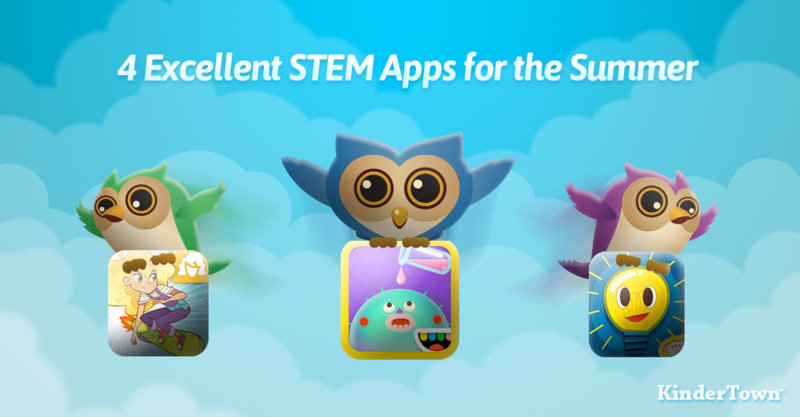 From art to coding, preschool skill building to problem solving, and social-emotional learning to endless runners, dive in with this list of 50 standout apps across all age groups. Check out ourEssential Apps Guide for even more titles, or find a curated list that fits your kid's specific interests. Augmented reality (AR) has evolved in recent years and its application in classrooms is limitless. Educators don’t need to feel overwhelmed when trying to introduce AR in their classroom because there are many great apps that don’t require a lot of knowledge in the field. There are useful apps for every subject and there are also apps that when a teacher is ready they can create their own AR targets. Find strong recommended apps by mobile device or by learning activity. Use your spelling skills to find the gold and capture the outlaws in Mystery Word Town. Play with the supplied word lists, or record your own words. Random Name Selector Lite is a Fun (and fair) way to select students for that special task or to answer that question. Has anyone not answered yet?, did everyone get a turn? Bring your Classroom Management into the 21st century with the Random Name Selector Lite. Have your child practice and learn addition, subtraction, division, times tables and basic problem solving with Monster Math Pro! Be Maxx’s personal math helper as you explore new worlds, battle enemies and find allies in unexpected places by using addition, multiplication, subtraction and division! This ultimate resource lists the best apps for kids, the best apps for parents, and the best apps for teachers. Please suggest links to help me build the most comprehensive top education app directory! 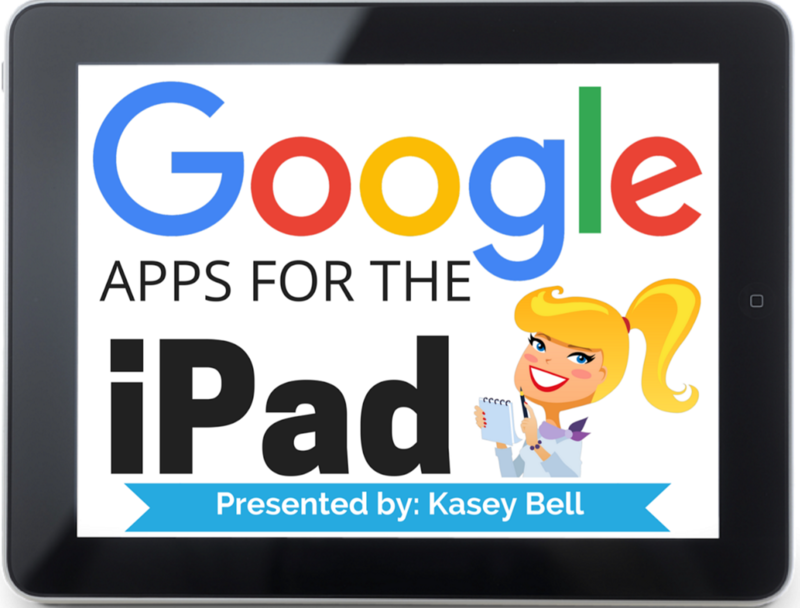 Apps for kids, math apps, reading apps, science apps, classroom management apps, drawing apps for kids, and more! Convey thoughts and expressions on the go via your voice with just one tap. Whether its a song you are humming, a poem you wrote , a story you want to tell or just your views on the weather, Croak.it! is the easy way to get your voice out there and be heard by the world. Discover, create and collect 30 second audio snippets ("Croaks") from around the world and follow the people you want to stay updated about. Elevated Math provides initial instruction or intervention on math topics that cover place value, estimation, large digit addition all the way through Algebra I (two years of math instruction!). Help your students achieve computational fluency – an integral part of success in mathematics! Aligned to the Common Core, Door 24 provides targeted practice in the use of basic facts, number sense, and algebraic thinking. Students can work through 6 different levels and multiple problem sets as they help fix Victor the robot’s circuits and solve the mystery behind Door 24! The Math Hunter is a mobile game for parents and teachers who wants to engage kids in Math by making learning math facts fun. Unlike existing math games designed to practice basic math skills, The Math Hunter adapts to kids’ skills to keep beginners motivated and advance hunters challenged. Teachable is a productivity application that organizes all aspects of a teacher's curricular activities in one location. By integrating tools for planning, tracking, and reporting, Teachable allows teachers to be well-organized and prepared to meet the needs of their students. The best just got better!!! Users describe Zookazam as "WOW" OR "This is AMAZING". To experience the possibilities of Augmented Reality download Zookazam 3.0.1, an educational AR App that not only allows you to learn about the animals but also you will be able to witness a giraffe popping out of a flat piece of paper in a photo realistic 3d animation. Now click the weather icon options to watch rain or snow on your favorite animal and take the most creative pictures or videos with our variety of live photo filters. Don't forget to share your personal zoo and creativity on Social Media. The ancient world Chromville, is well known for its power source of color. It´s placed in a galaxy far, far away and there are at least five villages: Firecity, Stonetown, Greenland, Waterville and Cloudskingdom. Its inhabitants, the chromers, use to look like their environment and live in peace thanks to the colorful beauty of their homeland. However, the planet´s color is fading away mysteriously at some regions and they are in danger of losing its power. Xnote is a virtual take on geocaching that let kids (and adults) go on simple treasure hunts outdoors for virtual messages. Kids love the excitement of a treasure hunt. They get to experience nature and learn about geography, mapping skills and teamwork while having great fun. Xnote can be a practical and convenient alternative to regular geocaching for teachers and parents since virtual treasures can be hidden near home or school by just pressing a few buttons. Treasure hunts can also be sent to friends and family as a fun challenge. Players will race (Multiplayer mode using WIFI) or practice (single player mode) in identifying two locations (ordered pairs) on the grid, drawing a straight line from one edge of the gameboard to the other passing through the two locations identified, scoring points for each shape that his or her line touches or through which his or her line passes that are located in all four quadrants of the coordinate grid. WeLearnedIt is an easy to use project-based learning platform that allows teachers to create and share dynamic assignments, leave meaningful feedback on student work, and allows learners to capture and track their academic growth and achievement over time in digital learning portfolios. Linka gets caught in a terrible storm while flying home after a successful treasure hunt. She escapes but her plane isn’t as lucky. Help Linka make her way through Mt. Multiplis by building bridges, unlocking treasure, and earning gems. Rebuild Linka’s plane by collecting the pieces from the greedy Crags who live on the island. Award-winning educational games developer DimensionU introduces a first in mobile educational gaming. TowerStorm is a competition-oriented, real-time, 3D-multiplayer action game for Elementary, Middle and High School students. Perfect for each stage of your child’s development, the new DK Readers app makes learning to read fun and exciting. You can browse through a whole library of fantastic DK Readers on every topic from farm animals to fishy tales and emperor penguins to Ewoks, picking eBooks at exactly the right level for your child. Each eBook has a read-aloud audio feature, paced so that your child can read along with the text according to their level of reading confidence. As they develop you can adjust the reading age to suit their new skills and they can even choose their very own avatar from a range of cool images for their growing bookshelf. An entertaining quiz, an addictive game, and a new way to test and improve your vocabulary! The goal is to master "1000 Words Worth Knowing" – words selected by Merriam-Webster editors to challenge, intrigue, and contribute to a powerful vocabulary. Quizzitive offers 10 difficulty levels, with quiz types from “Speed Drill” to “Name That Thing.” Master the words, beat your personal best, and see how your scores compare to the crowd. The first two levels of the game are free. An in-app purchase unlocks the full game and turns off ads. This nonfiction reading comprehension app publishes five news stories each weekday! The stories range in length and difficulty to create opportunities for differentiated instruction. Readers learn what happened on this date in history through an educational game and write or draw to Editor-in-Chief Russ in the News Room. Each edition gives you access to a Teacher’s Guide. View your state standards in one convenient FREE app! A great reference for teachers, parents, and students to easily read and understand the standards. Quickly find and search standards by subject, grade level, and key word. MasteryScan (powered by GradeCam) is an app that allows teachers to scan plain paper bubble sheets right from an iPad! It’s like having your own personal lab assistant. By utilizing the QR scanning function, which is built right into the app, you can instantly add any Fisher Science Education chemical to your inventory. Just scan the QR code that is conveniently printed on all Fisher Science Education chemical labels and with the touch of a button, you can instantly add the item to your inventory. News-2-You is the weekly newspaper for beginning readers and special needs students. Every week, students can connect with the world through concise symbol-supported news articles, puzzles, games and recipes. The news stories provide stimulating information on reader-friendly topics. Hopscotch is programming designed for everyone. Kids can use simple, intuitive building blocks to create games, animations and apps. Program your characters to move, draw, and collide with each other, and use shaking, tilting, or even shouting at the iPad to control them. This version of Hopscotch is made especially for schools. Teachers can create private groups allowing students to easily share and play each other's projects. All paid characters are unlocked and there are no in-app purchases. Sproutster is a game from Dreamkind, an award-winning entertainment studio focused on raising money for children’s charities worldwide. You need to help Sproutster grow rice to feed your friends in different countries around the world. You must catch falling letters in your bucket to spell 3-5 letter words. Hosted by LeVar Burton, the reimagined Reading Rainbow app includes an unlimited library of children’s books and video field trips to ignite your child’s imagination. This app supports math learners with problem solving and reasoning as they progress through a fun puzzle pathway. Kids gain an intuitive sense for geometric relationships and boost their thinking skills at the same time. Swipe left or right to answer if the fraction on the left is LESS, GREATER or EQUAL than the one on the right. Peek at the visual solution before committing your answer or wait until later to prove it. Tap above each fraction to see if they can be reduced/simplified. Check the statistics of your practice runs. Control audio options and set the max denominator using the Setup menu via the Curious Helmet. IF... is the new educational game for kids that helps develop Emotional Intelligence through research-proven SEL skills. **Get the ESTIMATION GAME where YOU make the questions! ** How many giraffes would be as tall as the Statue of Liberty? How fast is the world's fastest train? How many jelly beans would it take to fill up a soccer ball? In what year was the cell phone invented? Here is my favorite and most popular post of the year, my Top 100 Sites/Apps of the year! Continuing with the trend from last year, readers are going to find more and more apps on the list and fewer sites, as the flux in mobile learning and BYOD (bring your own devices) continues to rise. App 101: "How to Use Videos of Popular Apps"
Videos that explain how to use many popular apps! Played by more than 300,000 students in schools across the US, Digital Passport™ is now available for classrooms to access on the iPad. Teachers can set up classrooms and monitor student progress using teacher dashboards on digitalpassport.org while students access the game directly on their iPads. Based on the best-selling Edupress™ card game, That’s Baloney! is a wacky quiz game that both kids and parents can enjoy together! This app has everything you need to make a difficult decision easier. It's six amazing and slick utilities can help you decide the undecided - whatever that might be. This app can also be a game saver if you've lost an important piece of a board game. Did you receive a gift of a new iPad this year? If so, you’re probably spending this holiday vacation week trying out all kinds of new apps. Here are ten that Richard Byrne recommends getting started with. "The Great Gatsby: Classic Adventures" is a unique Hidden Object Adventure game that takes you through the classic literary novel, "The Great Gatsby" by F. Scott Fitzgerald. You'll experience moving hidden object scenes, puzzles, and a typing game that feels as though you are at the author's desk. After finishing the game go through and replay any part of the story or game play. You'll earn trophies and decorate your library as you embark on this adventurous story of love, jealousy, and tragedy! Threering.com is all about student work. Add video or audio commentary to your presentation slides directly on your iPad. Import your Microsoft PowerPoint, Adobe pdf presentations from SlideShare, Google-Drive, Dropbox or BOX, record your video delivering the presentation and publish it online for your online audience. In a few minutes, you will add wit and personality to your slides making your presentation more compelling for an online audience. An adaptation of the original Powers of Minus Ten, made for the show Scientastic!, produced by Planet Earth Television. In this version of POMT, zoom into human bones, see how broken bones heal, and investigate some of the cool and weird cells found in the middle of our most sturdy organs. View the Next Generation Science Standards in one convenient FREE app! A great reference for teachers, parents, and students to easily read and understand the standards. Quickly find standards by various topic arrangements or keyword search. The world is overrun with zombies. You are a part of a squad of highly trained scientists who can save us. Using your math skills and special powers you can treat infected zombies to contain the threat. Physical Science is the study of matter, energy, and change. The Interactive Physical Science Glossary app is a great review and study tool for learning physical science glossary and content. This excellent reference tool is a glossary of physical science terms presented through simulations, video, science content, and flash cards. The glossary presentation is geared toward middle and high school students and appeals to a wide range of learning styles. Simple tools and guides make it easy to shoot, edit, and even score your movie with music. Add one of the customizable title cards then share it online and, who knows, you may have the next summer blockbuster in your hands…literally! Tales2Go excites kids to read. Tales2Go is a kids' mobile audiobook service that gives teachers and parents instant and unlimited access to thousands of name-brand audio titles from leading publishers and storytellers to play on Apple mobile devices in the classroom and beyond. Created to help busy iPad owners do more, Taposé -- aptly derived from the word juxtaposé -- is a multifunctional productivity, multitasking and content creation resource that provides users with a collaborative multimedia Journal, fully featured Web Browser, Interactive Maps, and much more. Use our cutting edge technology to engage your students in a 21st-century learning environment. Deliver and capture data from any device by using a Web browser or the TAPit Free iPad app. With its flexible access and time-saving functionality, TAPit is an ideal tool for your flipped or blended classroom. The Spell + Friends app provides definitions and their correct pronunciation. Word pronunciations using the recorded audio files which are embedded in our app deliver the words the way they should sound -- so you do not have to rely on the dictionary or search for each word on the internet. SlateMath is an iPad app that develops mathematical intuition and skills through playful interaction. The app's 38 activities prepare children for kindergarten and first grade math. SlateMath forms the foundation of numbers, digit writing, counting, addition, order relation, patterns, parity and problem solving. Inspired by research, designed by Harvard Education School graduate Dr. Michael W. Connell, and developed by a team of MIT engineers, Native Numbers is the first of its kind - a complete curriculum to help early learners develop Number Sense. Spend less time testing and more time teaching! Whether you’re a teacher, home schooler, or other active player in your student’s education – for anyone involved in assessing students' reading skills, FluencyFinder is a powerful, time-saving tool for your teaching arsenal. Capturing and sharing your inner most creative genius has never been easier. Introducing the first multi-device collaboration tool from Universal Mind. From iPhone to iPad with just a flick of the finger, iBrainstorm has set the bar and has redefined the very nature of collaboration. With Super Duper StoryMaker, you can create all the picture and photo stories you want and tell them over and over — plus, you can make your own photo albums, special occasion cards, comic books, etc. Educators and parents will love StoryMaker because it helps children practice learning skills, such as reading, sequencing, vocabulary and sentence building, following directions, grammar, storytelling and retelling, interacting with others, and more. The best rubric software around: Does what you need, easy to use and includes outstanding support. The first iPad app that enables children to create drawings and then share them with a single-swipe; no email, phone number, or screen name necessary. Using advanced technology to create dynamic paints, like Cotton Candy, Furry Flurry, or Mega Pixels, combined with the ability for children ages 3-11 to independently share their drawings with a parent-approved network, this is definitely not your average children’s app. Direct Assessment Tracking Application (D.A.T.A.) is a new mobile data collection solution created specifically for the behavior analytic scientist practitioner for use on Apple's iOS devices (iPhone, iPod Touch, iPad). It is designed to precisely measure how often and how long an event occurs over time. The application can be used to conveniently & inconspicuously collect data on a wide range of events in a variety of settings. Haiku Deck is the simple new way to create stunning presentations – whether you are pitching an idea, teaching a lesson, telling a story, or igniting a movement. Featured on the iTunes “New and Noteworthy” and “What’s Hot” lists, Haiku Deck makes it fast and fun to create beautifully designed slideshows you’ll be proud to share. BubbleSheet is an app that allows students to provide answers for assignments, tests, quizzes, and common formative assessments using an iPod, iPad, or iPhone. The BubbleSheet app allows students to touch and select multiple choice answers. iWorksheet is the simplest and smartest way to use multiple choice worksheets on your iPad. In three easy steps, your paper worksheets are digital and ready to go. Share your worksheets with friends, teachers and students. The original and most popular handwriting app for iPad. Penultimate gives you the natural experience of writing on paper, with the added power and availability of Evernote. Take notes, keep sketches, or share your next breakthrough idea -- in the office, on the go, or at home on the sofa. Packed with tons of fun real-time effects, Video Star makes you and your friends the stars of awesome music videos. There's no other app like it! Select from hundreds of effects before, during, or after recording. Pause at any time to set up a new scene. No matter how many scenes you shoot, the music stays in perfect sync. Add Power Packs to crank up the fun, including advanced realtime "green screen" effects -- a Video Star exclusive!